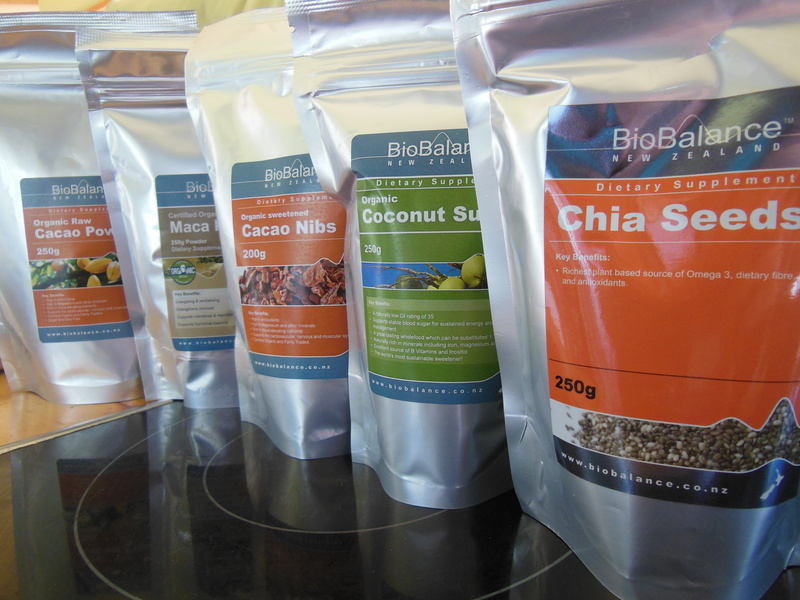 Maca Powder– A ‘superfood’ made from the powdered root of the Maca plant. It has been used in Puruvian Cultures for years as a nutrient rich endurance food. Add a tsp to your morning smoothie or into an energy ball recipe. Spirulina Powder- A nutrient rich algae, it is high in iron and contains a higher percent of protein than any other food. Its great mixed into a green juice or smoothie, and also works well in homemade muesli bars. Raw Cocao Powder– This can support the heart, nerves and muscles, its high in magnesium and other minerals. Use instead of cocoa in any recipe or mix with coconut sugar, and coconut oil for a truffle treat. Organic Sweetened Cocao Nibs– These crunchy delights are straight from the cocao bean, high in iron and delish sprinkled on top of porridge/granola or a smoothie. They are sweetened with coconut sugar. A wee tip to help you know if cocao products are raw or not- raw ones will be spelt cocao and non raw varieties which use heat in manufacturing process are spelt cocoa. Mix together cashews, chia, sugar, vanilla and milk, make sure you stir it really well, leave it to sit for five minutes and then stir again. 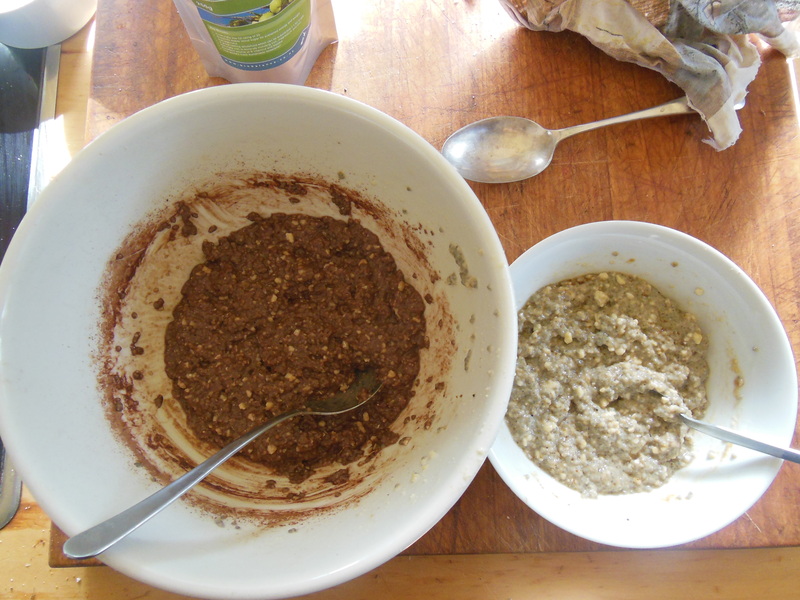 Put 2/3 of the mixture into a separate bowl and mix in cocao powder. In the other bowl mix in the maca powder (if using). Divide half of the choc chia mixture between 4 small glasses, sprinkle with 1/3 of the cocoa nibs and then add a thin layer of banana. 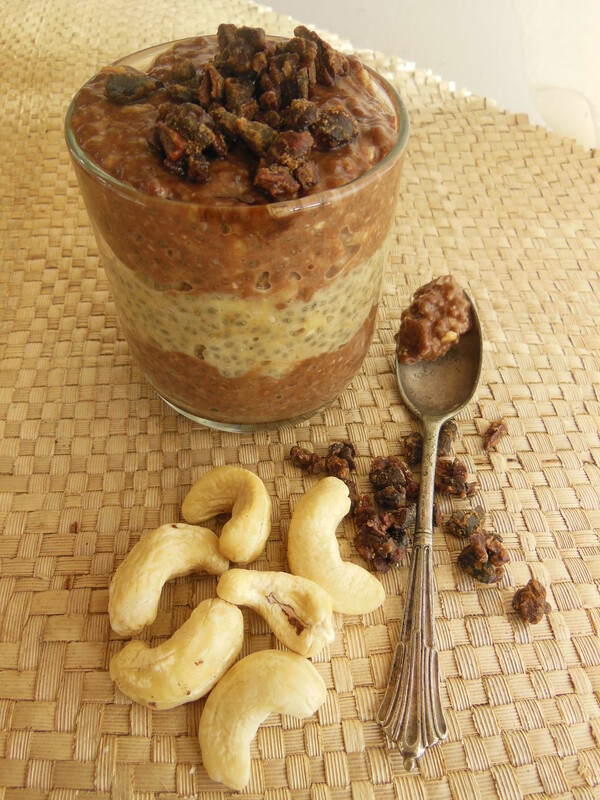 Next spoon in all of the maca chia mixture (divided across all glasses) and sprinkle with more nibs and another layer of banana. Finish with the final layer by spooning in the rest of the cocao mixture. Sprinkle the last of the nibs on top. It should look like the colours of an Oreo cookie, chocolate, white, chocolate. Next Post Spicy Almond Chai and the New E-Cook Book!